• Can include personalized logotypes, signs or graphic designs. It can even incorporate clocks or lighting. Front anodized aluminium panels. Optionally manufactured in brushed or mirror polished stainless steel. Other materials are possible, such as wood, metal, etc. Central structure made of galvanized steel finished in black forge as standard. 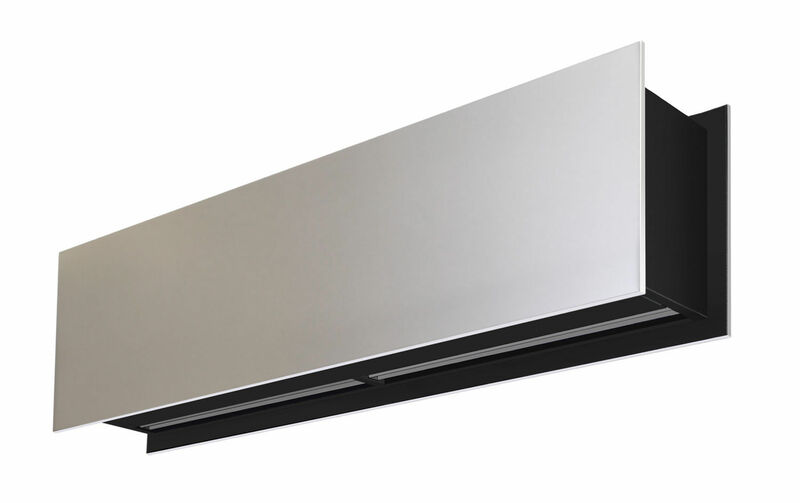 • Anodized aluminium outlet vanes, airfoil shaped, adjustable in both directions. • Double-inlet centrifugal fans driven by an external rotor motor and low noise level. 5-speed selector. "EC" models with very low consumption efficient fans. "A" type without heating, air only.